Cars have gotten complicated; we’ve kept up. 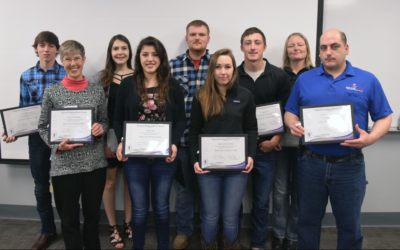 Salina Tech’s Automotive Technology Program is taught by ASE certified master technicians with more than 30 years of experience in the automotive service industry. 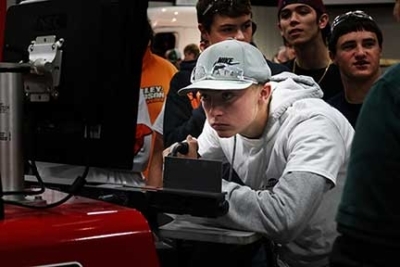 Throughout the two-year program, students will learn the knowledge and skills needed to properly maintain, repair and troubleshoot various automotive components including, steering, transmission, suspension, drive trains, brakes, and electrical systems, among many others. 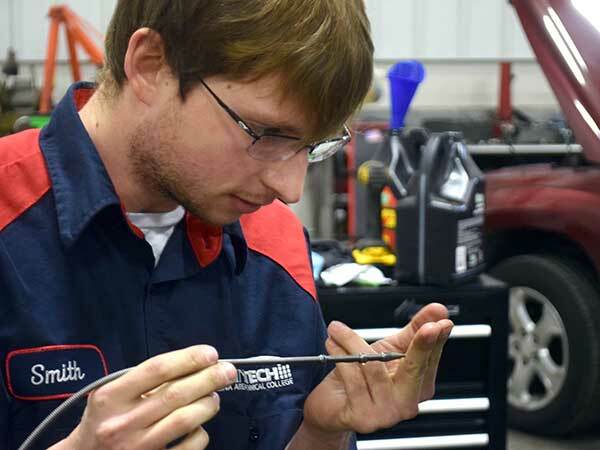 In addition to class time, students will gain valuable hands-on experience with real-world automotive service jobs so that when they do graduate, they’re ready to go to work. This program is accredited by the National Automotive Technicians Education Foundation (NATEF) — a division of the National Institute of Automotive Service Excellence (ASE). All high school students who enroll must start the program as juniors. Manual drive trains and axles. Drum and disc brake systems. After graduating from Southeast Community College in Milford, Neb., with an Associate of Applied Science degree in Auto Mechanics, Tom Conway spent 36 years as an automotive technician in various independent shops, and owned his own repair shop. He started teaching Automotive Technology at Salina Tech in 2000. He is certified through the National Institute for Automotive Service Excellence (ASE) as Master Automobile Technician and Maintenance and Light Repair Technician.